Why do Salmon need our help? We are on the brink of losing one of the world's most beloved and globally iconic wild fish from our waters. We cannot allow this to happen. Beyond simply losing this beautiful species at an alarming rate, the decline of salmon means that all is not well with our planet's waters, because these wonderful fish are an important indicator species. We need to understand this decline and take action for the sake of salmon and all water life. What are the causes of salmon decline? Many rivers are no longer clean and healthy but suffer degraded water quality and loss of habitat and food chains. Modern intensive agriculture, water abstraction and poorly treated sewage are largely to blame. In many rivers, salmon can no longer reach the best spawning areas because of man-made barriers, such as hydro-electric dams or impassable weirs. Barriers that are passible for young salmon swimming down rivers to the sea can still hinder their journey, slowing them down and making them easy targets for bird, mammal and fish predators. Chemicals that have built up in their bodies during their freshwater life can kill them with the extra pressure of entering sea water for the first time, and marine predators are always on the lookout for weak individuals. Many young salmon are forced to run the gauntlet of open-net salmon farms, where sea lice incubated in vast, unnatural numbers on farmed fish latch on to and kill wild salmon before they even have a chance of reaching the open ocean. 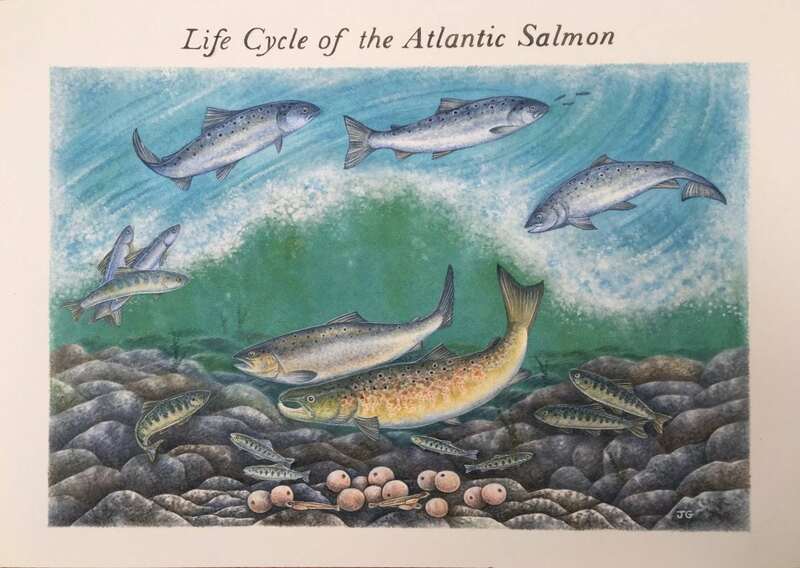 The ocean has changed recently and, although we can do little about that, global warming has altered currents and the way other marine species behave which directly affects the ability of salmon to survive in this hostile environment. Salmon are still caught and killed by commercial fishermen while in the ocean, especially off the West Coast of Greenland and when they return to their home waters, such as in Norway and England. When returning to spawn they have to negotiate their rivers again, with their poor water quality, degraded habitat and man-made barriers and predators, including humans, trying to kill them! Salmon & Trout Conservation cannot address all these problems, but we do concentrate on the critical issues of open-net salmon farming and water & habitat quality.